Engine was replaced early 2015. A great package of a boat. The lifting dock offered for a very modest price (£3500 for the dock over boat price). 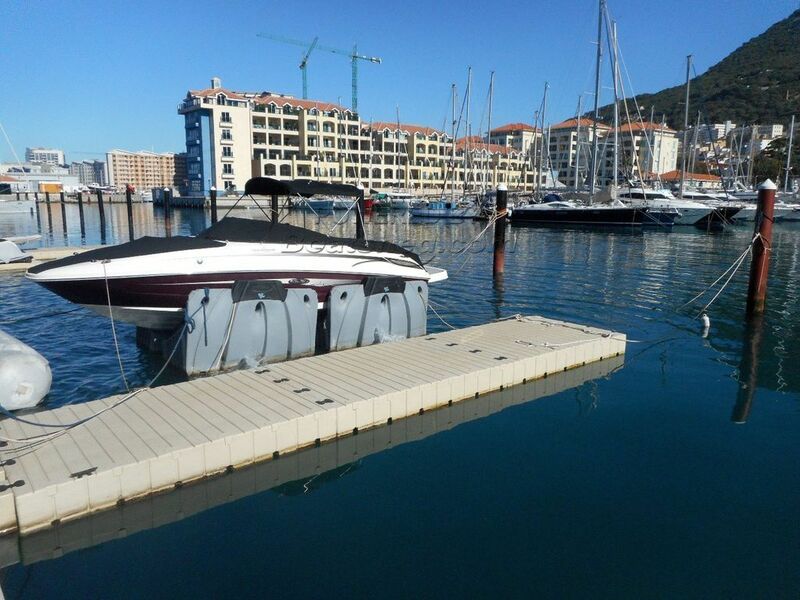 The lifting dock is remotely controlled and is lowered and lifted before and after every use so that the boat is stored in a dry enviroment ensuring a clean hull and an annual saving in anti-fouling and anodes. This boat has less than 60 hours on the engine. It comes with a full set of toys for great summer fun. This Sea Ray 240 Sundeck Bowrider has been personally photographed and viewed by John & Lynda of Boatshed Gibraltar. Click here for contact details.